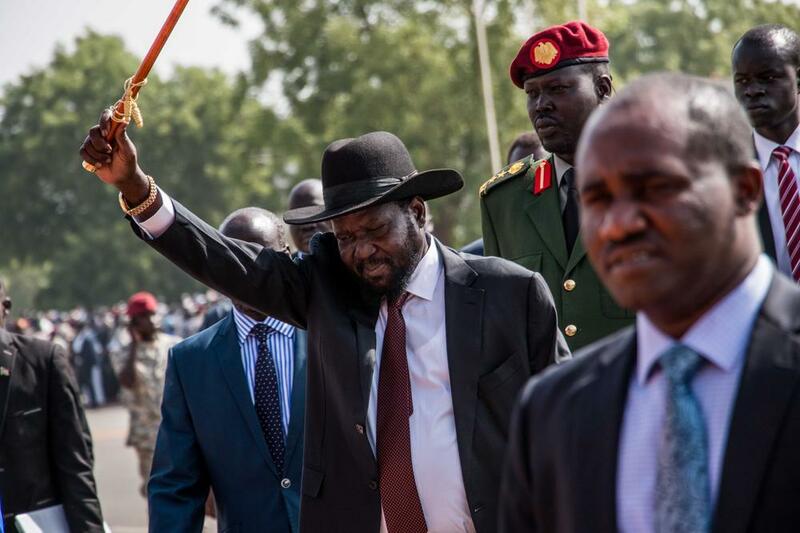 President Salva Kiir waves at a recent function. The South Sudan presidency has come out to dispel talk that President Salva Kiir is sick and in no mental condition to rule the world’s youngest nation. Mr Kiir’s press secretary Ateny Wek Ateny, on Sunday assured the nation that the president is mentally fit and not sick, despite reports to the contrary, which he descried as a political propaganda. “The president is in good health and fit to continue to lead this nation. If he is sick, the government will come out and tell the people of South Sudan of his health. But now there is no problem,” Ateny Wek Ateny told journalists on Sunday. Mawien Akot, a South Sudan-Canadian physician at the weekend revealed that the young nation faces a “dysfunctional system” and Kiir is “detached from his advisers and generals”. “The president is in sound mind, but he could be under influence. I treat most of the generals and most of them are so sick. Even when the president appears in public, he is not in sound mind and physical appearance,” said Mawien. “The president is not in his mental and physical capacity to rule the country. What he says are not his words,” Mawien, who claimed he worked at the presidential health unit said, accusing some people around the South Sudan leader of drawing money from the war-torn nation in “fraudulent” ways. “What Dr. Mawien [said is a lie. It is not true”, Ateny Wek said. 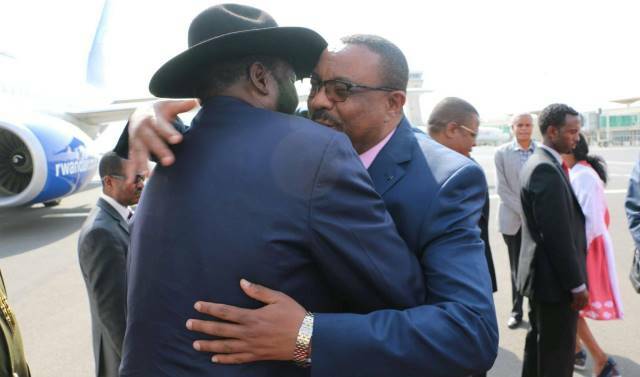 Former Ethiopian PM Desalegn welcomes President Kiir upon arrival in Addis Ababa on February 23, 2017. Meanwhile former Ethiopian prime minister Hailermarian Desalegn has said President Kiir should resign for the young generation to achieve peace and to end the suffering of his people. Desalegn unexpectedly resigned on 15 February 2018 after six years in power, saying he hoped to end years of unrest and political turmoil in his country. The former premier who also was the chair of the East African bloc IGAD that is mediating the South Sudan peace process, made his remarks at the Mo Ibrahim Governance Weekend organised by MO Ibrahim Foundation held in Kigali, Rwanda on Saturday April 28. Speaking about the need for peace in South Sudan he regretted the non-implementation of the IGAD-brokered peace agreement by the South Sudanese leaders. “Immediately after my resignation, I asked them ’Please would you resign because you failed to resolve the problem in South Sudan?” He said, according to a video of his remarks obtained by Sudan Tribune. “Leaders have to come to their senses and they give power to new young leadership that can continue to the next step,” he added. “The UN should take aggressive action,” he emphasised. Ethiopia is affected by the ongoing conflict in South Sudan as the Gambella region, which borders the troubled country is inhabited by a Nuer clan and fears that rebels who are from the same ethnic group cause instability.